Are you searching for an affordable and reliable midsize SUV? Then take a good look at the 2015 Toyota Highlander. It’s one of the most popular SUVs sold today. This is partly because of the many features it has to offer and it looks great, too. The Toyota Highlander has three rows of seats and it comes with the standard four-cylinder engine but if you want a little more power, the V6 engine is available. It features a six speed automatic transmission with smooth acceleration. The new Highlander is easy to handle and it rides comfortably making it an excellent choice for families. One thing that makes the Toyota highlander stand out is the comfortable ride it provides. The cabin is quiet so you can enjoy conversations or listen to music without excessive noise interfering with your ability to hear, which helps to make your daily commute more pleasant. The seats are made from soft materials that won’t stick to your skin and you won’t have to worry about feeling cramped up because there is plenty of legroom for everyone. Adults and teens can easily ride comfortably in the front and middle rows and smaller kids will have plenty of room in the third row. The new 2015 Toyota Highlander has a little less cargo space than some of the other SUVs out there. However, it offers several small storage areas that are great for keeping personal items separated and that can often benefit families more because everyone has their own space. Safety is a big concern for any driver but especially for parents and the new 2015 Highlander is one of the safest midsized SUVs on the road. The crash testing conducted by the government gave this vehicle a five-star rating for safety. Even the standard edition offers a variety of safety features that you’re sure to love. You also have the option of choosing the Toyota’s Safety Connect package when you choose the Highlander limited edition. This offers extra safety features such as collision notification, emergency assistance and it tells you the location of your SUV if someone steals your vehicle. The Toyota Highlander SUV is an excellent choice for families big and small. 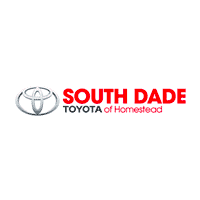 Stop by here at South Dade Toyota in Miami and test drive one today. It’s a great way to see for yourself how well these vehicles perform and to get a first hand view of all the features it has to offer. Once you drive one, you’ll see why it’s rated the best, most affordable and reliable midsize SUV available today.